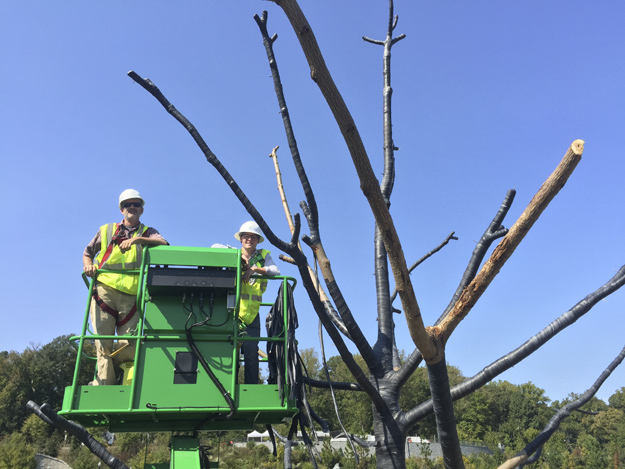 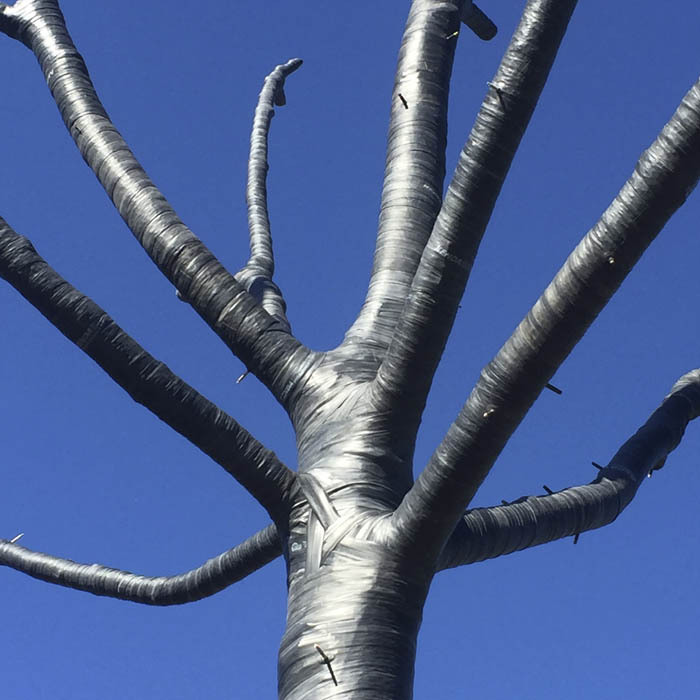 Retraction, a 35-foot paulownia tree wrapped with re-purposed bicycle inner-tubes, is a temporary sculpture located on the Beltline. 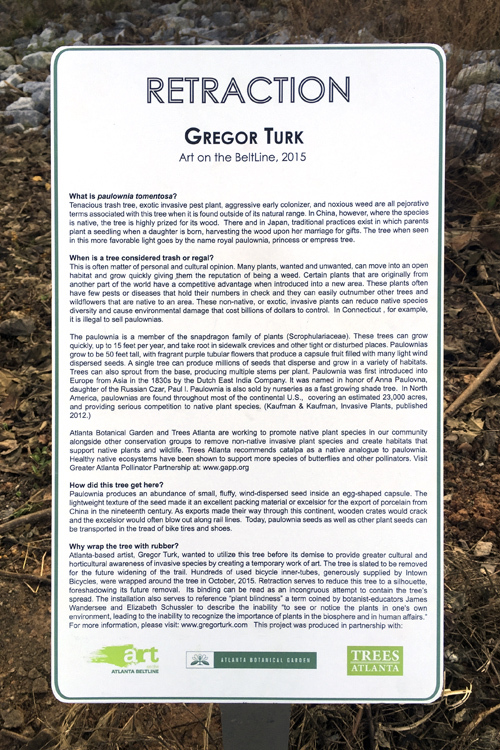 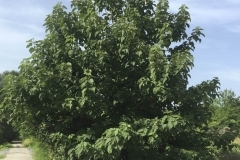 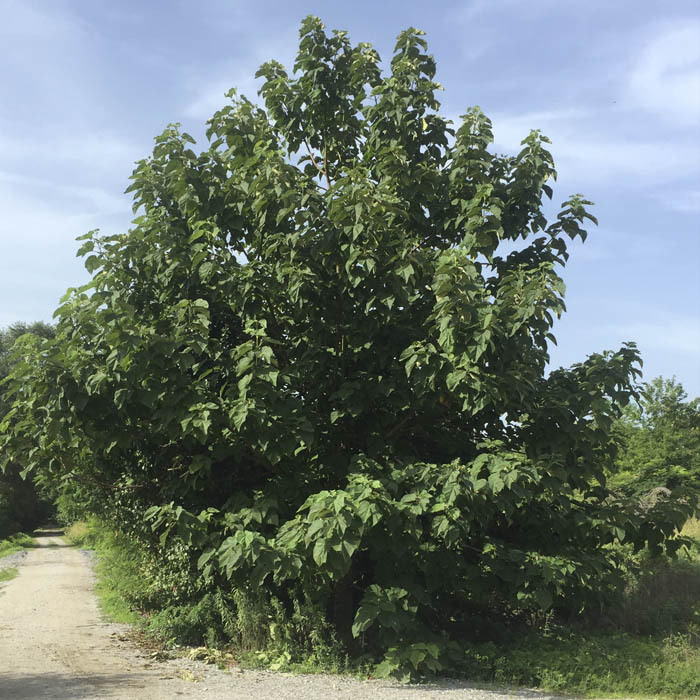 This installation along with the accompanying sign invites audiences to increase their awareness of invasive species and their related issues. 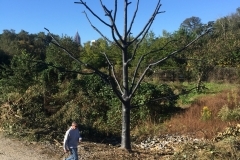 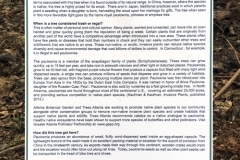 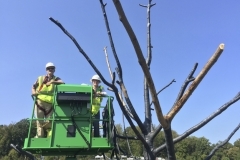 Retraction was in collaboration with Atlanta Botanical Garden, Trees Atlanta and Art on the BeltLine. 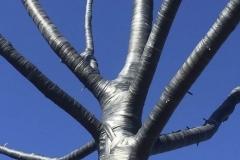 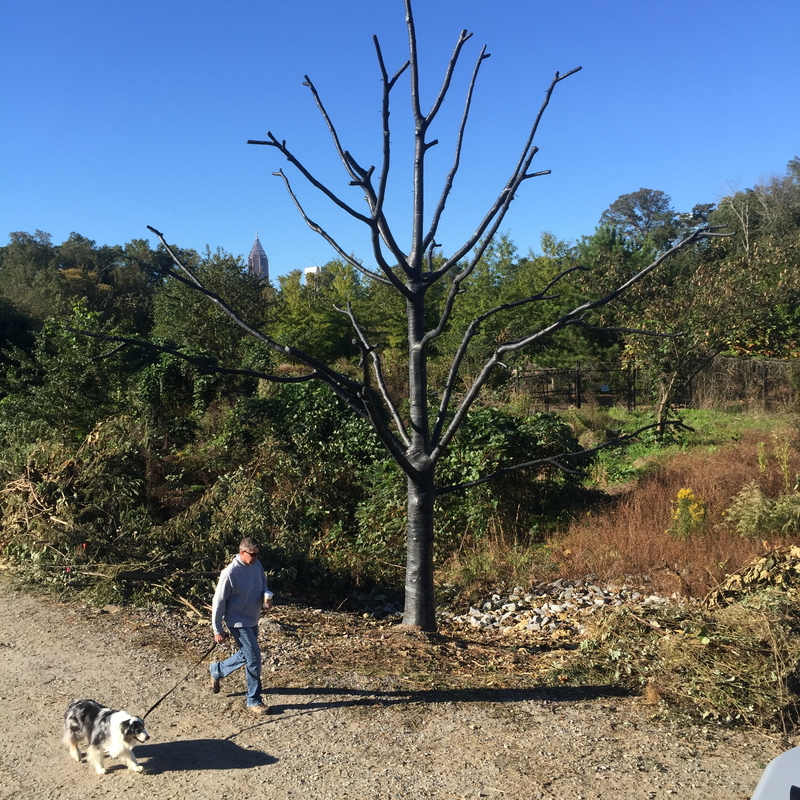 Invasive species tree, bicycle inner tubes, staples and signage, 35’ tall, 2015 – 2017, Atlanta BeltLine, Atlanta Ga.